This professional photography course aims to develop visually expressive commercial photographers capable of taking superior pictures for the commercial world such as advertising agencies, picture desks, fashion houses, newspapers, international magazines, and more. Global Edulink is a leading UK training provider that can offer you the opportunity to earn a certificate in Commercial Photography to boost your career prospects. With our course, you’ll gain the skills, knowledge and a broad understanding of photographic practice, theory and equipment use as you are guided towards a career as a qualified photographer or simply as a keen hobbyist. This is a modern, comprehensive course covering every aspect of photography. Commercial photography is essentially used to promote or sell a product or service. There are several ways in which photographs can be used to better market products and corporations. Your unique pictures could be used in product placement, merchandising, leaflets, and corporate brochures, for example. Or, in specific industries such as catering where text for café and restaurant menus are enhanced with stunning and vibrant food images. For photographers who excel at commercial photography, it can be a very lucrative market and as a broad field it has room for traditional and alternative photographs. 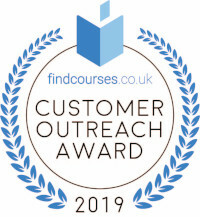 Learn with Global Edulink and gain insight and knowledge from tutors that are well qualified and experienced in their industry sector and who can mentor and support you through your learning journey. People looking to learn how to take cutting-edge documentary, portrait, editorial, advertising and fashion photographs commercially. Those looking to explore their inner creativity and develop their understanding of different camera types and settings, and a range of photographic equipment, photographic processing, and image post production. Anyone interested in developing a career as a professional photographer or wanting to improve their competence within their hobby. Successful candidates will be awarded a certificate in Commercial Photography. 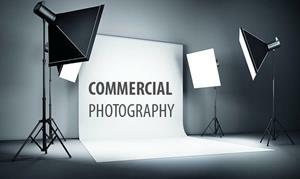 Fill out your details to find out more about Commercial Photography Training.